I am, as you might expect, a vocal advocate of e-learning. However, I know there are some situations when classroom or residential components are essential. Even in these situations, e-learning can play an important role. In fact, e-learning is a significant part of the training value chain even when classroom or residential components are the main elements. The value chain was developed as a concept by the academic Michael Porter in his 1985 book Competitive Advantage: Creating and Sustaining Superior Performance. 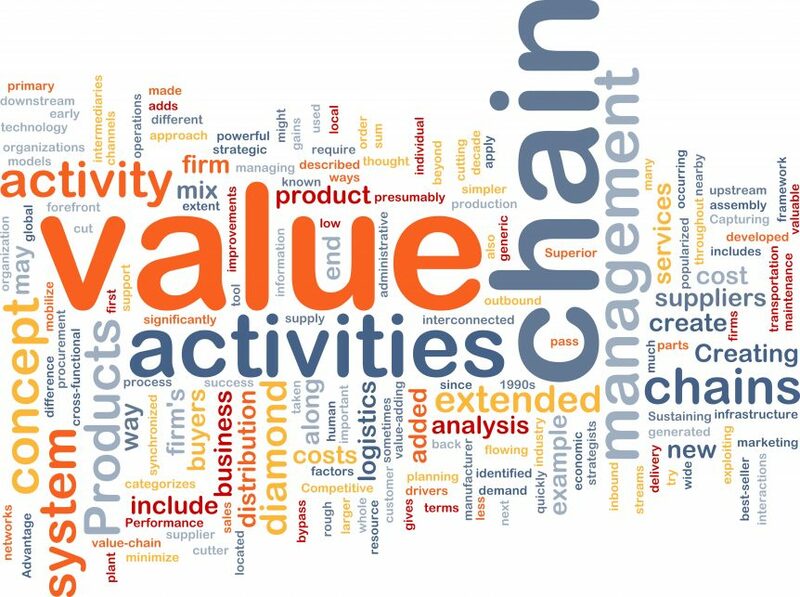 The value chain describes how businesses take resources such as raw materials, manpower, money, land, and/or equipment and add value to them to create a product or service they then sell to customers. The training value chain describes the actions you take to add value to your training and to make the value of your training more quantifiable. This helps you measure return on investment and/or demonstrate the success of the training to your superiors. Adding e-learning to your training activities is one of the most effective actions you can take. This includes, of course, replacing other forms of training with e-learning courses. It also involves using e-learning to augment training that is primarily delivered in a classroom or via a residential component, i.e. e-learning that is part of a blended classroom approach. Introduce the topic – save time at the beginning of the classroom session by first introducing the topic in advance via e-learning. Learners will also know what to expect from the training. Improve pre-course knowledge – with an e-learning element, you can ensure everyone attending the classroom training has a sufficient level of knowledge. Establish expectations – you can use e-learning to inform learners of your expectations of them. Add a social element – this is particularly helpful when learners in the classroom don’t know each other. Workshop activities – creating interactive elements that learners can work through on their own or as part of a team. Role play – role play using e-learning can be more effective than in-group role-playing as individuals are less self-conscious. You also have more control over the direction of the role play. Interactive elements – these elements can improve the learning experience by enhancing levels of engagement and making the content more interesting. One of the best examples is to create games within the e-learning content. Back-up the course content – you can use e-learning to reinforce the topics, skills, and knowledge covered in the classroom or residential component. Maintains engagement – post-course e-learning modules will keep learners engaged as well as promoting follow through on, for example, learner action points. Provide updates – post-course e-learning lets you keep in touch with learners to provide updates on the course material. As well as improving learning outcomes and enhancing the overall experience, using e-learning before, during, and after a classroom or residential component also helps to quantify the value of the learning. This is primarily achieved through e-learning’s ability to give you real-time, accurate, and practical feedback. Before the course – an e-learning element with an assessment, quiz, or survey will inform the trainer of the level of knowledge of learners. This enables the trainer to customise the approach in the classroom. During the course – in-course assessments delivered through e-learning elements give immediate feedback on the progress of learners. They are also an indicator of the quality of the training. These assessments can be taken at the end of a classroom session or periodically throughout the training for longer residential courses. After the course – giving learners e-learning modules to complete after the course enables you to assess medium and long-term knowledge retention rates. You can also gather feedback on the success of the classroom element and the training overall. Focusing on value is important in all aspects of creating a training course. The unique features of e-learning allow you to enhance and measure that value.